Have you visited the mile high town? 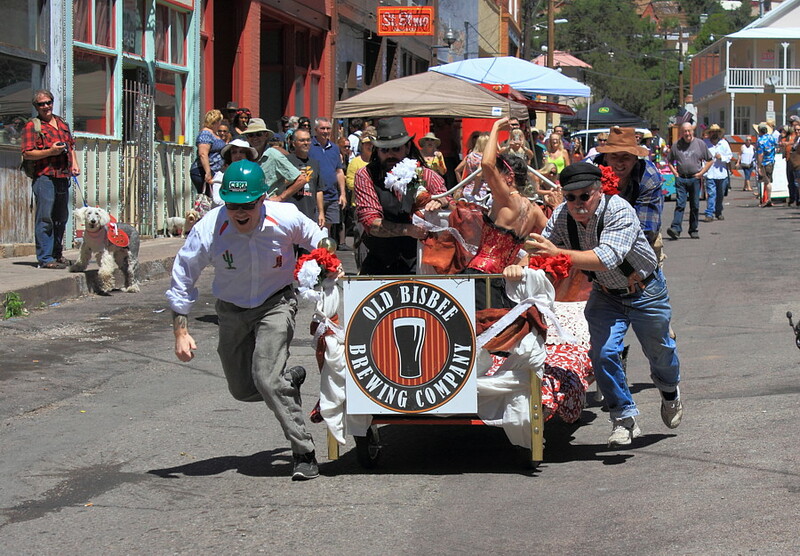 Nope we’re not talking about Denver, but rather the former mining boom town of Bisbee, Arizona… it is not to be missed! 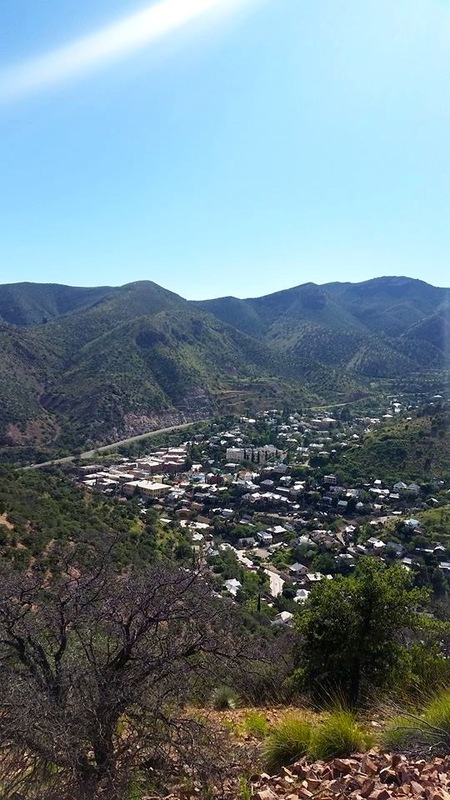 Bisbee is a small city of 5,500 residents that packs a big punch with well-preserved historic architecture, an eclectic art and music scene, and even a robust nightlife among the beautiful, yet rugged natural setting of Arizona’s Mule Mountains. 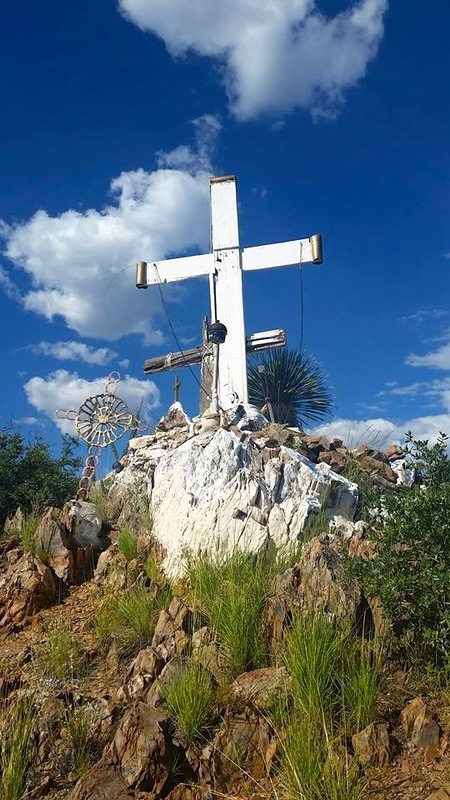 Just 11 miles from the Mexican border at Naco, Bisbee is a great option for Arizona natives to escape the scorching summer temperatures (with lower temps due to elevation) or even a great addition to a day trip for visitors from Tombstone, which is 23 miles away. 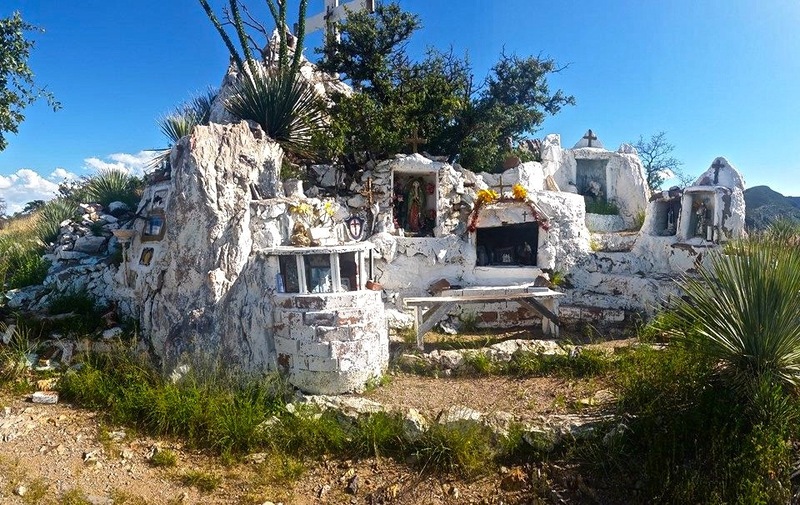 Described as compact, quirky, and “haunting” – here are 6 signs you are in Bisbee, Arizona. 1. The stairs, oh the stairs! 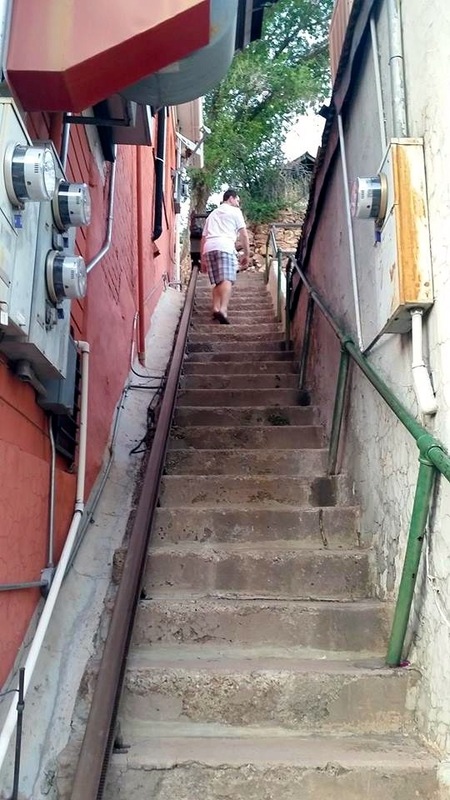 As one blogger put it, “…if you like to climb stairs and to explore a funky town at the same time, Bisbee is the place to go.” The sheer amount of stairs in this small town are a direct result of Bisbee’s history as a mining town. 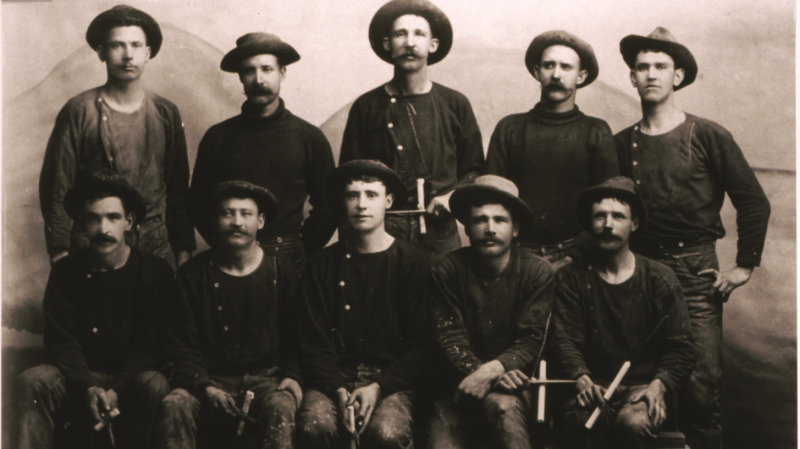 During the early 20th century, prospectors flocked to the area and set up shop to excavate copper, gold, and turquoise. With a population of over 20,000 in the early 1900’s, Bisbee was one of the largest towns between St. Louis and San Francisco! Who knew? Houses were built to meet the increasing needs of miners. With homes flooding the mountainside, there was a need for plenty of stairs to get down to the town and mining camp. You can clearly tell this town was built and laid out for those on foot… maybe not so desirable for automotive traffic back then. 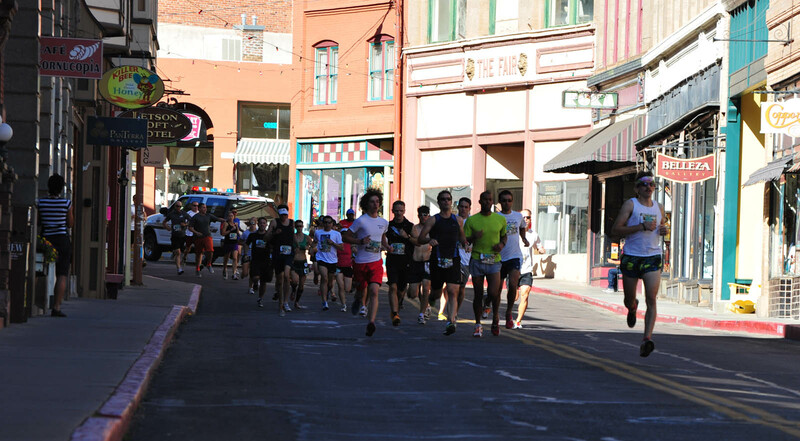 There are so many stairs in town that Bisbee is host to a unique race called the Bisbee 1000. The race takes 1500 participants on a 4.5-mile trail through the town, including 9 staircases totaling 1000 steps. For those that just want to take it easy, you can fill your time wandering town and taking in the scene one step at a time – go your own pace! Okay, to be fair, this doesn’t happen every Sunday… at least we don’t think so. We happened to visit over Labor Day weekend, which is also during the Brewery Gulch Daze celebration. Visitors and locals alike celebrate the way of the old west like it was in its glory day. There were many unique activities that weekend including the bed races, a pet parade, chili cook-off, and of course plenty of authentic costumes. Racers had to rush down the hill then jump out and hug a stranger before crossing the finish line. Check out our video below! 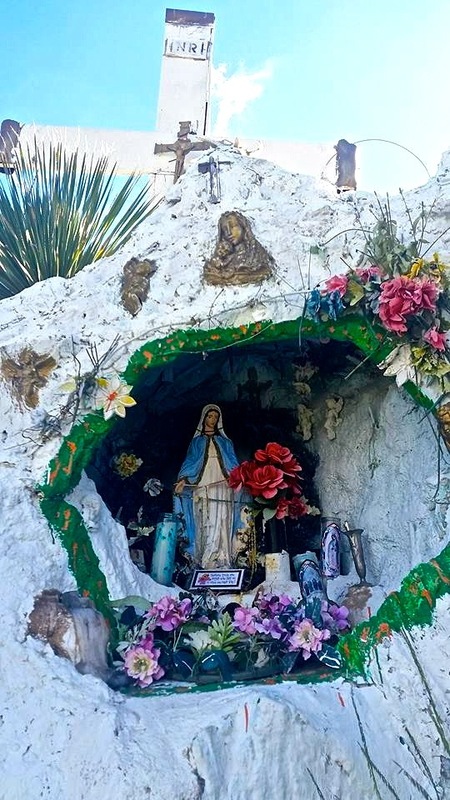 The story goes that in 1980 Adolfo Vasquez promised God he’d build a shrine if God would save his eyesight. Apparently God did, and so Adolfo did too. Since that time the shrine has evolved and grown so not only are there now several crosses, but there are also smaller alcoves, lots of interesting statues & offerings and even a Buddhist corner. We can’t confirm that was in fact the origin of the shrine, however we certainly found the shrine to have a lot of interesting trinkets. It is kind of amazing to think about the things people have brought up over the years. In addition to the shrine, the hike provides a great view of the town. You can also hop over to the next hill to take in a great panoramic view of Arizona and beyond. This is a good look for us! 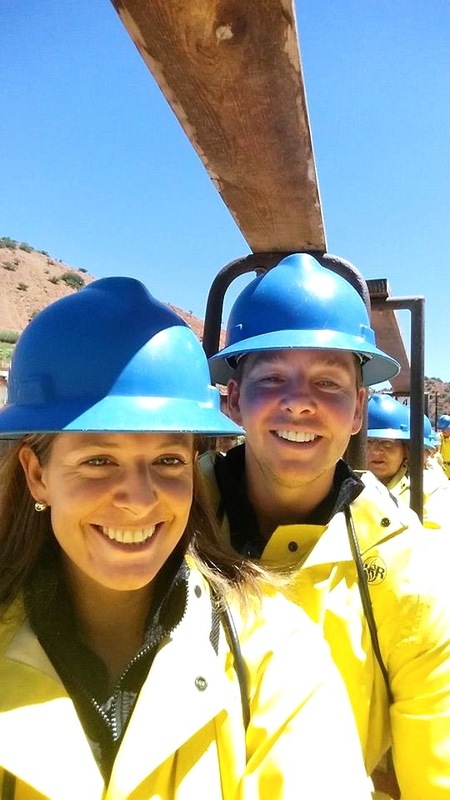 By far the most popular thing to do while in town is to take the Queen Mine Tour. In our opinion this is a must, it was really interesting and a lot of fun. 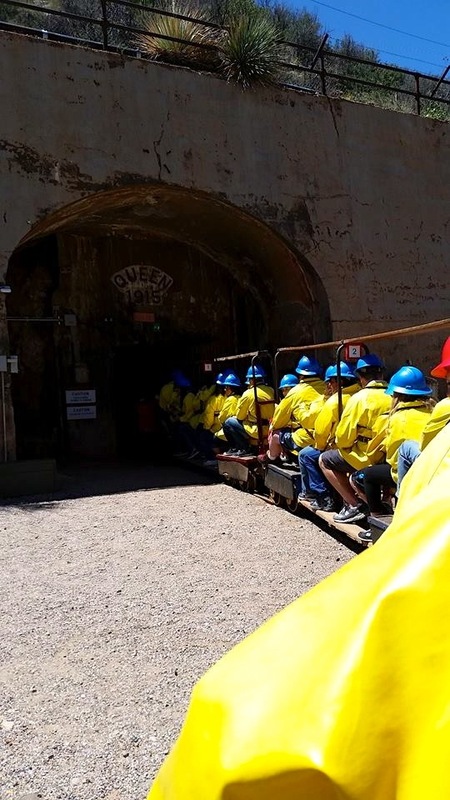 Get your gear and hop on the train – you’re going 1500 feet into the mine! Guides give a history of what it was like to work underground and recount some of the dangerous situations miners faced every day. In operation for almost 100 years, the mine produced over $6.1 billion worth of metals in 1975 dollars at the time of closing – wow! The tour is really an authentic experience that shouldn’t be missed. Don’t forget to dress warm, it is chilly in there at a constant 47 degrees Fahrenheit. 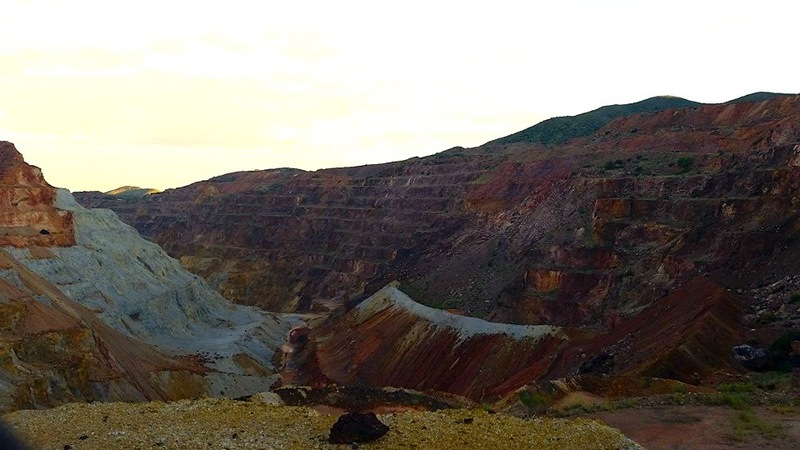 Evening walk to view the quarry – stunning colors at sunset! Do you know what goes hand in hand with an old mining town that has a sordid past? – Ghost sightings. 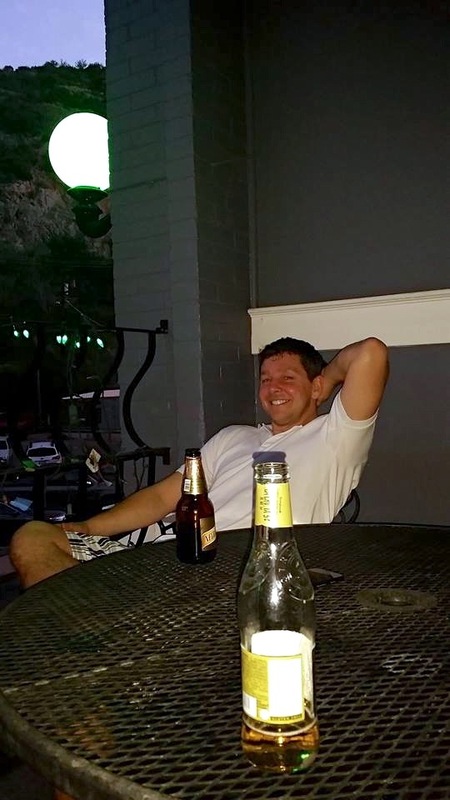 Often seen in the old hotels, one of Bisbee’s main attractions is learning about those hotel guests that never seem to leave. 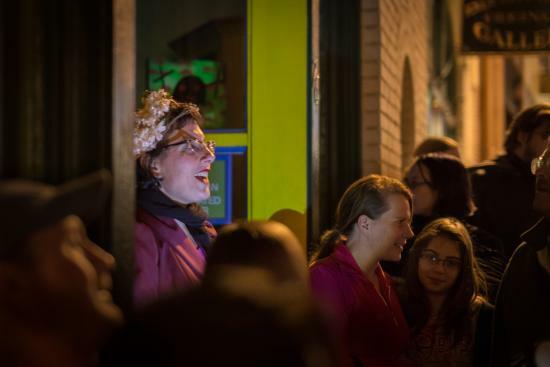 There are several ghost tours you can book while visiting, including Old Bisbee Ghost Tour. We didn’t book a tour, but we saw several groups that seemed to have a good time. Our first evening in Bisbee we were sitting on the balcony of our accommodation, The Bisbee Grand Hotel, enjoying some drinks when a ghost tour group stopped in front of our building. It was then that I learned that our hotel was said to be the “Only place in town where guests have literally run out of the building, screaming in terror about a girl floating above their bed.” Can you guess how well I slept that night? Yeah, not that well! …Jimmy slept fine. 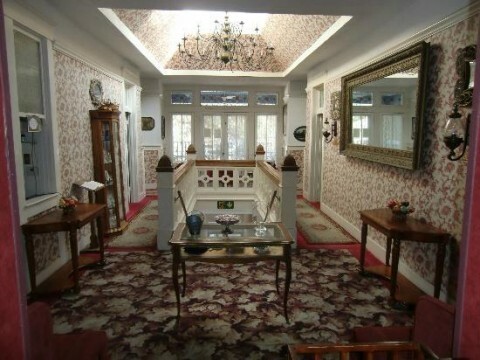 Alas, there were no ghost sighting or any suspicious paranormal activity while we were there. Pheeeew! In its heyday the place to be in Bisbee was Brewery Gulch, which boasted more than 50 saloons and brothels in the early 1900’s. This place was up and running 24 hours a day to accommodate the miners that were coming and going around the clock. Time took its toll, and while the brothels have gone there are several bars that still remain. 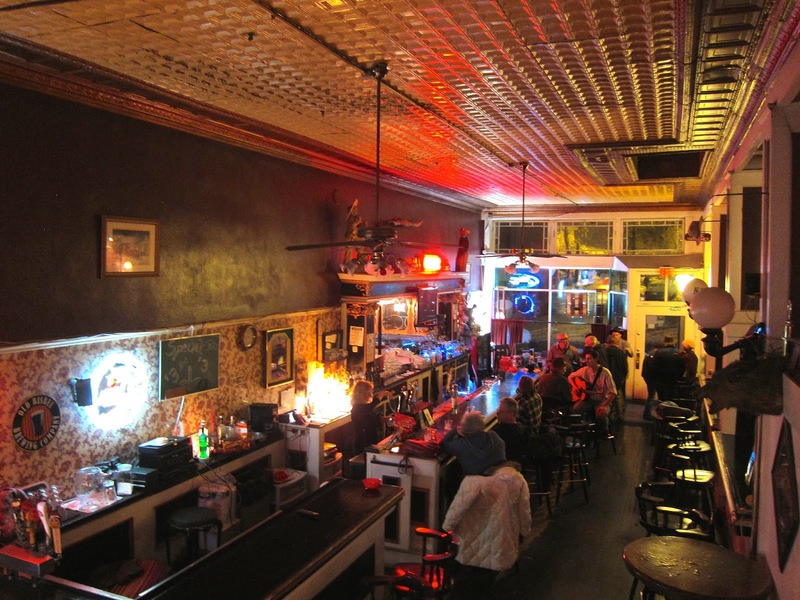 The Bisbee Grand Saloon has an old western saloon feel with an antique back bar dating back to the 1880’s. Perhaps the most famous bar in town is St. Elmo’s Bar – known as the longest continuously operating drinking establishment in the state which opened in 1902. 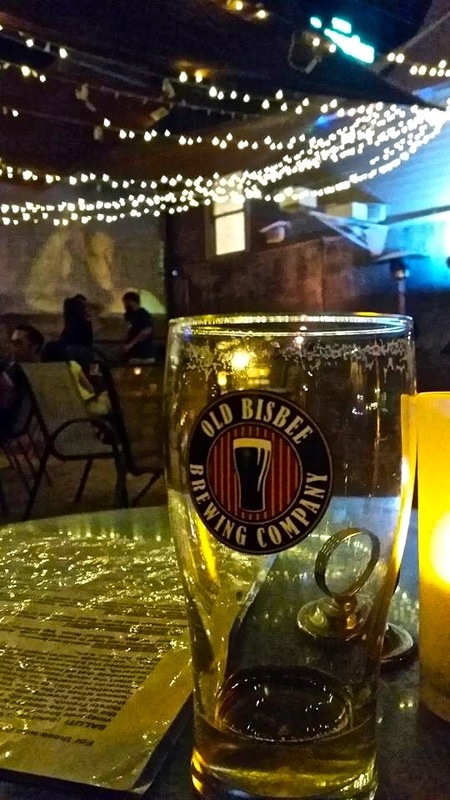 In addition to older establishments, Bisbee is also home to newer bars such as The Quarry Bisbee gastropub and the Old Bisbee Brewing Company. While it didn’t make the list, one thing we can’t forget to mention is the amazing character and whimsy the many art shops bring to town. 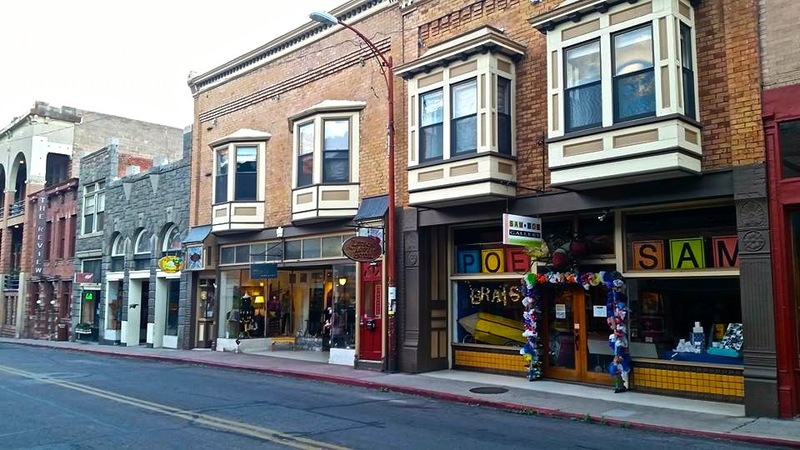 Galleries, pottery, jewelry – you can tell Bisbee is home to many free and creative spirits! Lucky visitors reap the benefits. If you plan to be in southeast Arizona, we definitely encourage you to check out this former mining town chock-full of history and charm! 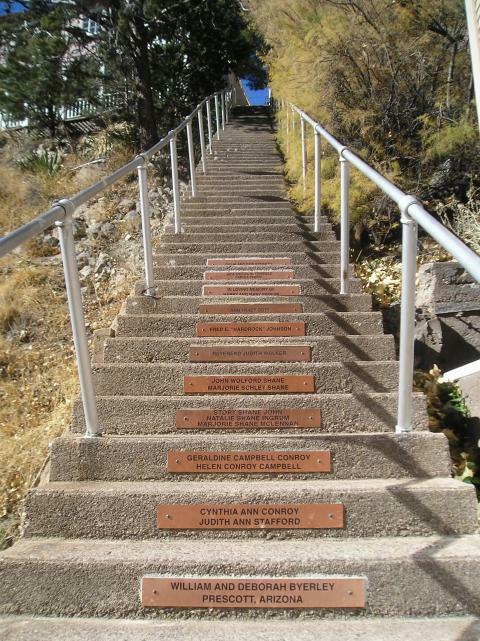 Have you been to Bisbee – what stood out to you? 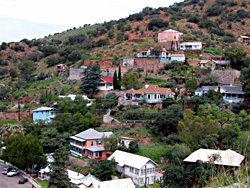 Used to live in Bisbee back in the 60s & 70s. 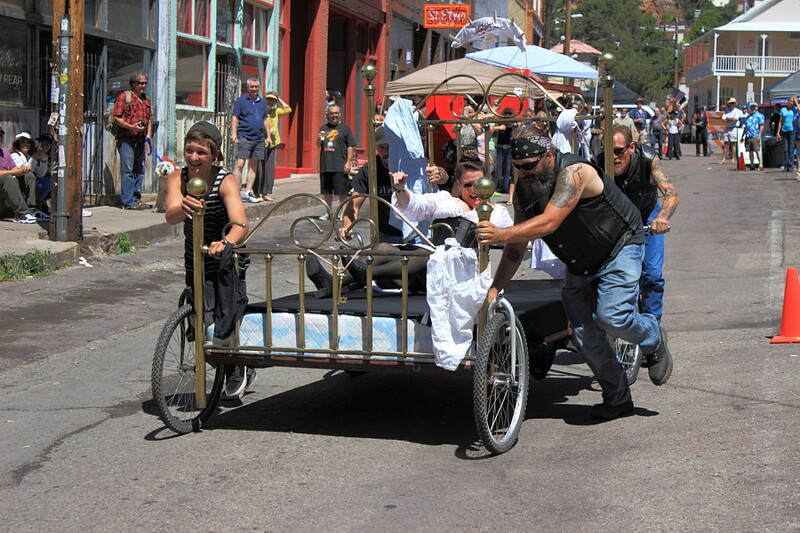 July 4th we had a coaster race down Main Street (old Bisbee), burro races in the desert, greased pole contests, wow it was great. Freshmen initiation was white-washing the “B” on Chihuahua Hill along with wearing our red and gray beanies. There were foot races up that hill as well. 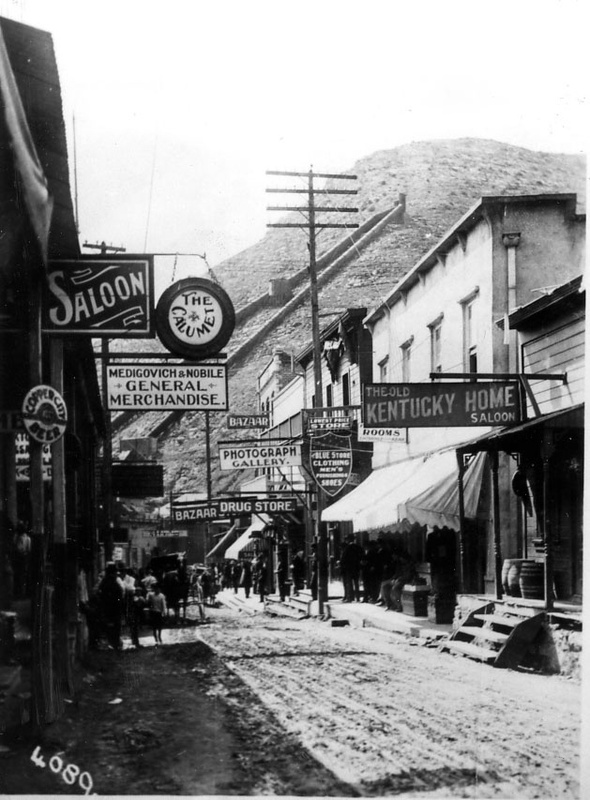 Of course, Brewery Gulch was always busy. Great memories.